The Los Angeles County Museum of Art (LACMA) is pleased to commemorate the 10th anniversary of Chris Burden’s Urban Light (2008). Situated on Wilshire Boulevard at the museum’s entrance, the sculpture incorporates 202 vintage street lamps of 17 different designs from various cities in and around the Los Angeles area. Urban Light joined LACMA’s collection in February 2008 as a gift from the Gordon Family Foundation to “Transformation: The LACMA Campaign.” In honor of the 10th anniversary, the Leonardo DiCaprio Foundation (LDF) has generously supported the replacement of all 309 incandescent light bulbs with LED bulbs, resulting in approximately 90% in power savings for LACMA while also reducing emissions of greenhouse gases and other harmful pollutants. To kick off the 10th anniversary celebrations, LACMA commissioned artist and photographer Siri Kaur, who is represented in the museum’s collection, to shoot portraits of people who have marked personal milestones at Urban Light. A special photoshoot took place on January 27 at the museum. On February 8, LACMA hosted a special unveiling of the sculpture’s conversion to LED light bulbs at an event attended by Los Angeles Mayor Eric Garcetti, LDF CEO Terry Tamminen, artist Nancy Rubins, and Michael Govan. Chris Burden’s Urban Light incorporates 202 antique cast-iron lampposts from various cities in and around the Los Angeles area. In the early 20th century, many neighborhoods designed its own street lamps as a form of public art and civic identity. Chris Burden (1946–2015) was born in Boston, Massachusetts. He moved to California in 1965 and obtained a BFA at Pomona College, Claremont, California, in 1969 and later an MFA at the University of California in 1971. Burden’s first mature works were characterized by the idea that the truly important, viable art of the future would not be with objects, the things that you could simply sell and hang on your wall. Instead art would be ephemeral and address political, social, environmental, and technological change. Burden, with his shockingly simple, unforgettable, “here and now” performances, shook the conventional art world and took this new art form to its extreme. The images of Burden that continue to resonate in the public mind are of a young man who had himself shot (Shoot, 1971), locked up (Five Day Locker Piece, 1971), electrocuted (Doorway to Heaven, 1973), crucified (Trans-fixed, 1974), and advertised on television (4 TV Ads, 1937–77). 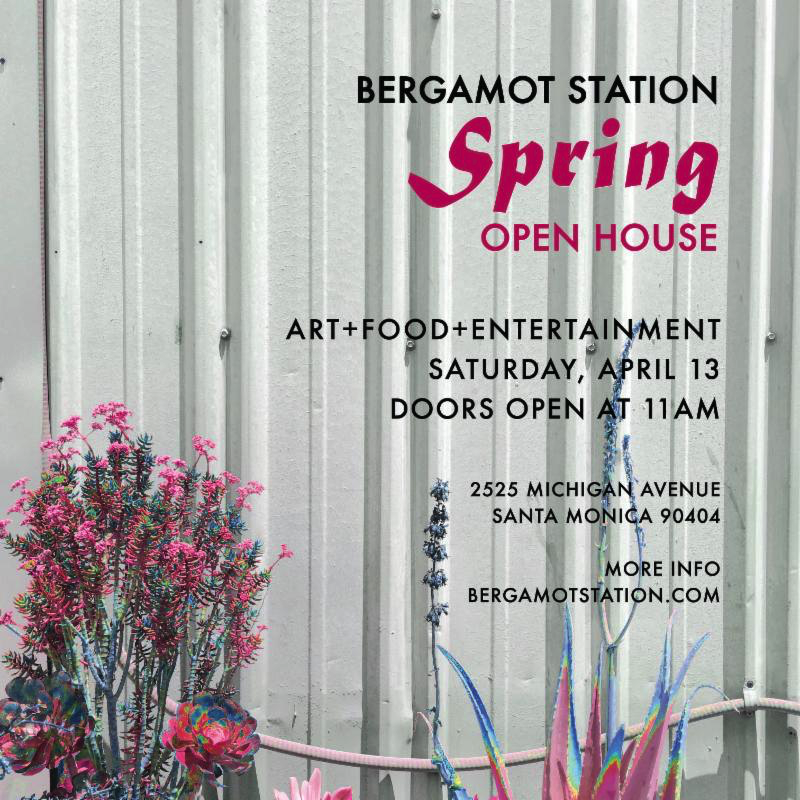 His work subsequently shifted, focusing on monumental sculptures and large-scale installations such as The Big Wheel (1979), A Tale of Two Cities (1981), Beam Drop (1984), Samson (1985), Medusa’s Head (1990), L.A.P.D. Uniforms (1993), Urban Light (2008), and Metropolis II (2010). These works reflect social environments, make observations about cultural institutions, and examine the boundaries of science and technology. Chris Burden had major retrospectives at the Newport Harbor Art Museum, Newport Beach, California (1988), and the MAK-Austrian Museum of Applied Arts, Vienna (1996). In 1999 Burden exhibited at the 48th Venice Biennale and the Tate Gallery in London. In the summer of 2008, What My Dad Gave Me, Burden’s 65-foot-tall skyscraper made of one million Erector set parts, stood in front of Rockefeller Center, New York City. And in 2013–14, the New Museum, New York, presented Extreme Measures, the artist’s first major U.S. exhibition in over 25 years. Burden’s installations and sculptures, which have been exhibited all over the world, have continually challenged viewers’ beliefs and attitudes about art and the contemporary world. Environmental impact of Urban Light’s LED light bulb conversion The switch from incandescent to LED bulbs in Urban Light will save approximately 3,173,047 kilowatt hours of electricity over the next 10 years, which is enough to power about 295 average American homes in a year. Additionally, the reduced energy demand will prevent the release of 5,206,074 pounds of carbon dioxide equivalent, which is equivalent to preventing greenhouse gas emissions from burning 2,583,627 pounds of coal. Conversely, this can also be imagined as the carbon captured by planting 61,199 trees and letting them grow for 10 years. 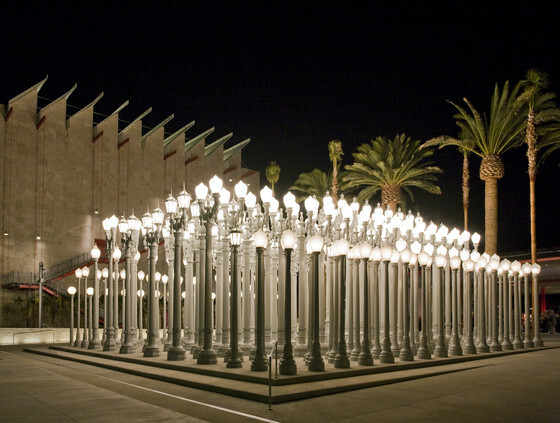 By replacing all 309 incandescent light bulbs in Urban Light to LED light bulbs, LACMA will realize significant energy and environmental benefits over the coming years. That is as many light bulbs as can be found in about 10 American households, which, on average, still contain a mix of installed incandescent light bulbs. Though cost savings will differ by region, energy reduction and subsequent environmental benefits can be achieved by households that switch to LED light bulbs. Thanks to the support of the Leonardo DiCaprio Foundation in 2018, all 309 incandescent light bulbs in Urban Light have been converted to LEDs, reducing the installation’s annual energy consumption by an estimated 90 percent, while also reducing emissions of greenhouse gas and other harmful pollutants. Since its inception in 1965, the Los Angeles County Museum of Art (LACMA) has been devoted to collecting works of art that span both history and geography, mirroring Los Angeles’s rich cultural heritage and uniquely diverse population. Today LACMA is the largest art museum in the western United States, with a collection of over 135,000 objects that illuminate 6,000 years of art history from new and unexpected points of view. A museum of international stature as well as a vital cultural center for Southern California, LACMA shares its vast collection with the Greater Los Angeles County and beyond through exhibitions, public programs, and research facilities that attract over 1.5 million visitors annually, in addition to serving millions more through community partnerships, school outreach programs, and creative digital initiatives. LACMA’s main campus is located halfway between the ocean and downtown, adjacent to the La Brea Tar Pits and Museum and the future home of the Academy Museum of Motion Pictures. Dedicated to serving all of Los Angeles, LACMA collaborates with a range of curators, educators, and artists on exhibitions and programs at various sites throughout the County. Since 1998, Leonardo DiCaprio Foundation (LDF) has been on a mission to protect the Earth’s last wild places, implementing solutions that restore balance to threatened ecosystems, and ensure the long-term health and wellbeing of all its inhabitants. Through grant making, public campaigns, and media initiatives, LDF brings attention and needed funding to three areas: protecting biodiversity, ocean & forest conservation, and climate change. The Foundation works in close collaboration with a broad network of environmental leaders and experts, effective organizations, and committed Pa philanthropists to identify and support innovative, results-driven projects in the world’s most wild and threatened ecosystems. LDF has supported over 200 high-impact projects in more than 46 countries around the world. For more information visit: www.ldcfoundation.org.